Wet n Wild's Color Icon Eyeshadow Quad formula ups the ante on pigmentation with a mix of shimmery go-tos and matte transition shades to blend into the creases of your eyelids. Each shade glides on effortlessly and blends like a dream. Wet n Wild's taken out the guesswork by noting where to apply each hue. Explore the entire range of Eye Shadow available on Nykaa. 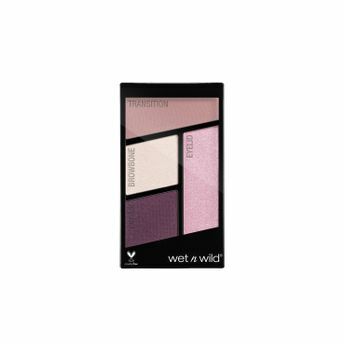 Shop more Wet n Wild products here.You can browse through the complete world of Wet n Wild Eye Shadow .Alternatively, you can also find many more products from the Wet n Wild Color Icon Eyeshadow Quad range.